1 (noun) dɪˈvɔː(r)s – a judicial declaration resulting in the dissolution or annulment of a partnership, especially one that signatories to the agreement are unable to resolve through mutual cooperation. 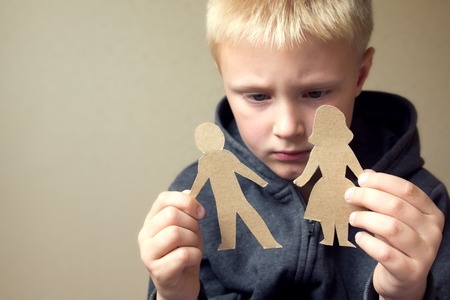 Divorce can be a traumatic business… especially when kids are caught betwixt and between the warring parties, and asked to choose. Ours started bickering on their honeymoon in Maastricht back in 1973, but have managed to rub along together, fairly amicably, for over 40 years. However… largely thanks to growing public concern over immigration controls, leaky external borders and yet another bail out for Greece (presumably a consequence of their leaky border), Britain is considering a divorce from Europe. Whether you like it or not, you—Britain’s estimated 1.3 million offspring living in Europe—hold the key because you have an immediate interest in the outcome, which means that you are five times more likely to vote than the man on the Clapham omnibus. But it also means that you are the easiest to scare and makes you a prime target for the worst of the propaganda, from both sides. Daddy’s law firm, Remayne, Remayne & Tarry, warn that such a divorce will turn you all into illegal immigrants overnight unless Britain agrees to let our European cousins come in without knocking after the Decree Absolute… but what are the chances of that? We’d say about the same as Lord Lucan turning up in Holby A&E after a fall from Shergar, given that immigration is the main weapon in the Brexit’s armoury and, as they pointed out, other members of the extended family have already started changing the locks. So, will you be bundled onto a plane back to Blighty? Mummy’s lawyers, Hoppitt-Levy, say no, quoting the Vienna Convention of 1969: ‘withdrawing from a treaty releases the parties from any future obligations to each other, but does not affect any rights or obligations acquired under it before withdrawal’. In essence, divorce doesn’t change the original marriage vows, so even if our parents do split up, anyone already living with another EU relative would be entitled to stay. Of course they may not be chuffed at being stuck with you, whilst their dream of an idyllic future retirement in Middlesbrough is dashed. Just prepare for long queues if you wait until after June to decide to live with Daddy. 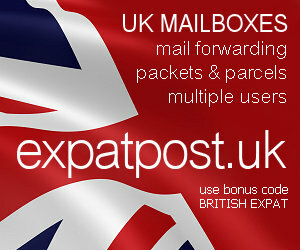 This article has been prepared by Expost Logistics Ltd, a mail and logistics company specialising in providing UK accommodation addresses and mail forwarding to British expats through their interactive online facility at expatpost.uk. The views expressed in it are their own and should not be taken as reflecting the views of the britishexpat.com team or British Expat Ltd. This entry was posted	on Saturday 30 April 2016 at 12:57	and is filed under Expat Europe. You can follow any responses to this entry through the RSS 2.0 feed. You can leave a response, or trackback from your own site. Hmm. Not sure I’d like to rely on Hoppitt-Levy for legal advice. Their “quote” from the Vienna Convention of 1969: ‘withdrawing from a treaty releases the parties from any future obligations to each other, but does not affect any rights or obligations acquired under it before withdrawal’ – this actually comes from a House of Commons Library paraphrase, so it’s misattributed. Not only that, but it’s a selective (and thus misleading) quotation – it should be prefaced with the words “Generally speaking“. Otherwise it’s silent on whether rights and obligations to the Member State’s citizens would continue. Presumably it’s a matter for the withdrawal negotiations.